Choosing an Android Wear watch is a lot like picking out a regular wristwatch. Unlike your phone, which stays in your pocket for most of the day, your smartwatch needs to fit your personal style, and looks are often more important than specs. 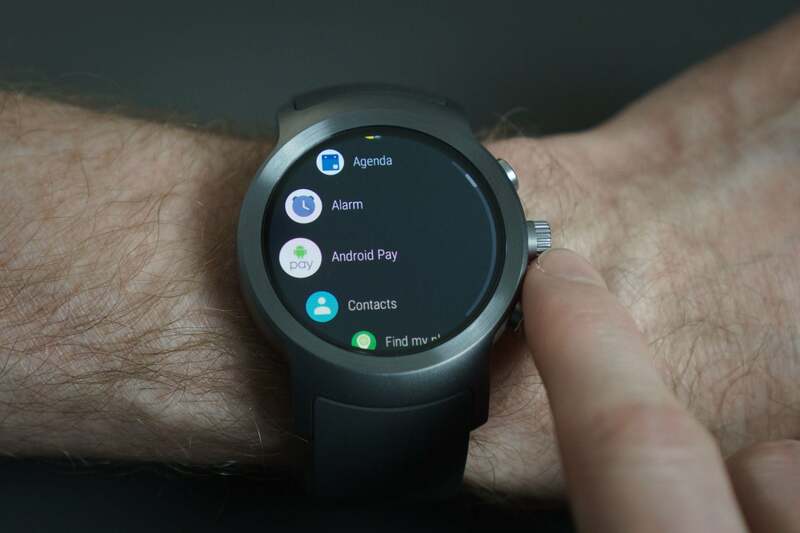 Google doesn’t let Android Wear watchmakers tweak the operating system beyond adding extra apps and custom faces, so you’re essentially getting the same OS experience across every watch. All Android Wear watches tell time, track fitness, and receive notifications using the same navigation and interface, and they’re all compatible with whatever phone you have. But there are differences. Some smartwatches are geared more toward athletes. Others put a premium on phone independence. And, of course, some are strictly focused on looking stylish. Unlike other buying guides, we didn’t select an overall winner here. There are too many factors to consider to recommend a single model that fits every taste, so we’ve broken down our choices according to buying motivations. 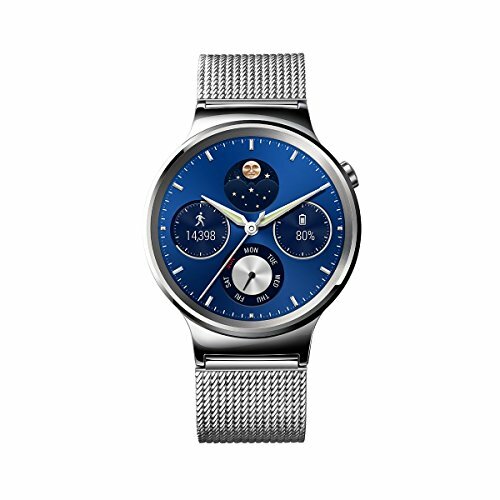 The Huawei Watch packs performance and an array of sensors into a package that's sleek and lightweight. Read our hands-on with Huawei Watch on Greenbot. It may be nearly two years old, but the original Huawei Watch is still the best looking Android wearable you can buy. While the current crop of Android Wear 2 watches is full of hulking, bulbous devices built for large wrists, the Huawei Watch is svelte and elegant, and its understated design all but ensures it will work with any outfit. With a 42mm, 1.4-inch face, the Huawei Watch might still be a tad too big for some wrists (and the gaudy, jewel-encrusted ladies version is actually bigger at 44mm). But its thin bezels cut down on the bulk considerably. You can swap out the bundled band with any 18mm watch strap, and the watch is light and comfortable enough to wear while running or hiking. 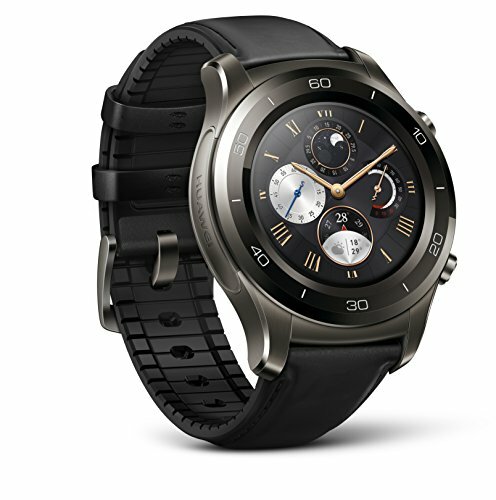 Of course, you’re not getting the latest specs with the Huawei Watch, and you can’t use Android Pay due to its lack of an NFC chip, but you will get a heart-rate monitor and a decent battery. Plus, the Android Wear 2.0 update brings the Huawei Watch up to speed with Google Assistant, Google Fit, and the Play Store. So, if fashion is your primary concern, you’re better off with a first-generation Android Wear watch, at least for now. The LG Watch Style is the closest thing to a fashionable Android Wear 2.0 watch, but without a heart-rate monitor, GPS, or NFC, it’s far too crippled to be taken seriously. So, we think most people will be happier with the original Huawei Watch. Read our full review on PCWorld.com. Most Android Wear smartwatches cost between $250 and $300, and cellular connectivity often pushes the price above $350. But ZTE has not only managed to offer a well-equipped Android Wear 2.0 watch for under $200 ($192 to be exact), it’s even equipped it with a 3G chip. Even if you never take advantage of the cellular connectivity, won’t find a better value in an Android Wear 2.0 watch. Like most Android Wear 2.0 watches, the ZTE Quartz is a bit on the big side, but its frame isn’t as bulky as many of its peers. Its metal casing belies its price, and it has a surprisingly great speaker for playing music and making calls. The Quartz only has a 3G chip rather than an LTE one, but you won’t notice much of a difference in call quality or app speed. The ZTE Quartz does make a few compromises, mind you. The biggest is that it’s exclusive to T-Mobile, and in fact the only way to buy one is through the carrier. You will also have to sacrifice Android Pay support, since there isn’t an NFC chip on board. And you won’t find a heart-rate monitor either. But if none of these issues is a concern to you, then you won’t find a better deal on an Android Wear 2.0 watch. The Huawei Watch 2 is a fine Android Wear 2.0 entry, but it doesn't bring enough to the table to separate it from its peers. Every Android Wear 2.0 watch comes equipped with the Google Fit app for step tracking and calorie counting, but not every watch is built for exercise. But, fear not, the Huawei Watch 2 is all about fitness. Along with a heart-rate sensor, GPS, and NFC, Huawei packed its Android Wear 2.0 watch with unique fitness-oriented apps. Heart Rate is a dedicated heart-rate monitor that will show both your current beats per minute and your BPM for the past six hours. An app called Daily Tracking organizes your activity into a series of pretty charts, and the Workout app lets you set up a comprehensive training plan that tracks a broad array of statistics. Huawei Watch 2’s best feature isn’t fitness-related, per se, but it will come in handy on long hikes—it’s a special battery-saving mode that shuts down all watch functions other than the time and a pedometer when activated. You can actually eke out several more days of use in this mode, so if you forget your charger on a long trip, your watch won’t turn into a useless brick. Add it all up and you’ve got the best Android Wear watch for people on the move. Whether you’re biking, running, hiking, or shooting hoops, it’ll be the next best thing to a personal trainer on your wrist. Read our full review on Greenbot. Android wearables will never be as smart as our phones, but they’ve gotten to the point where your watch can fill in for long stretches. And if you want to leave your phone at home without worrying about missing a call or notification, the LG Watch Sport will be your best companion. The LG Watch Sport does an excellent job of keeping you connected when your phone is out of range. With AT&T’s NumberSync and T-Mobile’s Digits, you’ll be able to get phone calls and notifications on the go, and its wide range of sensors lets you track your activity, get directions, buy stuff, and basically go a day or so without missing your phone much at all. The LG Watch Sport is a downright beast of a watch, with every possible bell and whistle you could ask for: LTE, GPS, NFC, a heart-rate monitor, and IP68 water resistance. And, like the rest of its Android Wear 2.0 peers, it’s quite large, so those with smaller wrists might have to wait until a smaller LTE Android Wear 2.0 watch makes an appearance. If it fits your body type, however, the LG Watch Sport will significantly reduce your reliance on your phone. With it on your wrist, you’ll no longer freak out when you forget your phone on a long trip. Before you buy any of these Android Wear watches, there are some questions you need to answer. While speed and storage might not factor into your decision, there are specific things you should consider before settling on a particular model. Do you want to use it without a phone? The ZTE Quartz is one of the few Android Wear 2.0 watches to offer cellular connectivity. Even among those scant options, they’re limited still. Obviously, you can only use the Verizon Wear24 watch with the Verizon network. The ZTE Quartz is exclusive to T-Mobile. The LG Watch Sport is only available from AT&T and T-Mobile, and LTE on the Huawei Watch 2 isn’t supported in the U.S. at all. The only watch that works on all network is the LG G Watch Urbane Second Edition, but it’s over a year old, and the only carrier still selling it is Verizon. And the Android Wear 2.0 update hasn’t officially hit the U.S. yet. All 3G/LTE watches allow you to use apps and receive notifications without a phone around, but the experiences vary a bit by carrier. 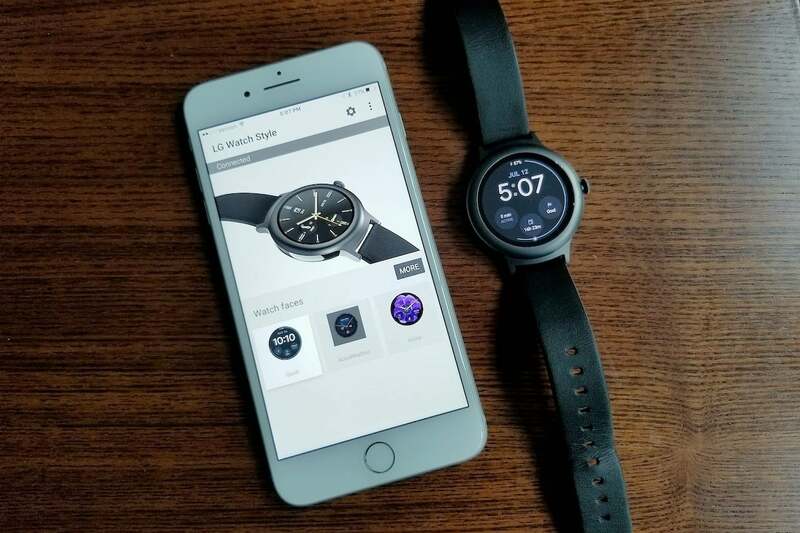 AT&T and T-Mobile offer service that let you use your regular phone number for receiving calls and messages on your watch when your phone isn’t available, but Verizon will assign a new number for the watch when untethered from your phone. And all charge a fee for watch-only service. Verizon and T-Mobile charge $5 a month, and AT&T tacks on $10. Please note that your watch and phone will always need to be on the same network. Do you want to use Android Pay? Bear in mind that the Tag Heuer Connected Modular 45 starts at $1,650, so it might not be a viable option for some budgets. Going forward, NFC will hopefully be a standard feature for all Android Wear watches. Do you want to monitor your heart rate? The fitness-minded Huawei Watch 2 sports a heart rate monitor. Version 2.0 is a major update to Android Wear, bringing a slew of interface changes and features to Google’s wearable OS. After a series of delays, it launched in February, and has been slowly rolling out to older watches since then. 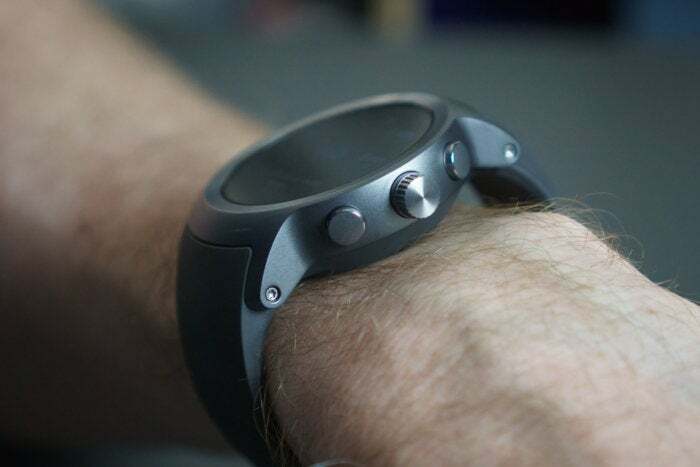 We discuss all the new Android Wear features below. Which watches come with it? The LG Watch Sport was one of the first Android Wear 2.0 watches. Any watch released after Feb. 8 will have Android Wear 2.0 pre-installed. Quite a few are available and we’ve spotlighted some of our favorites here. You can also check out Google’s Android Wear site for the latest models available for sale. Which first-gen watches will get it? How do I update an older watch? Swipe down from the top of the screen and tap the Settings icon. Scroll down to “About” and tap “System Updates.” If an update is waiting, follow the prompts and wait for your watch to download and install it. Android Wear watches and iPhones get along, but you won’t get every feature. Yes! One of the new features of Android Wear 2.0 is greater compatibility with the iPhone, so square-face haters have a whole new world of options. You’ll need an iPhone 5 or newer with iOS 9 or later installed, and of course a Google account is required. Please note: iPhone users won’t get the full Android Wear experience. The main drawbacks are the lack of support for Android Pay (even on NFC-equipped watches) and read-only Apple Messages. Will it work with my Samsung phone? Of course. Samsung may have abandoned Android Wear for Tizen OS in its own smartwatches years ago, but any Android Wear watch will pair perfectly fine with a Galaxy S8 or any other Samsung phone.